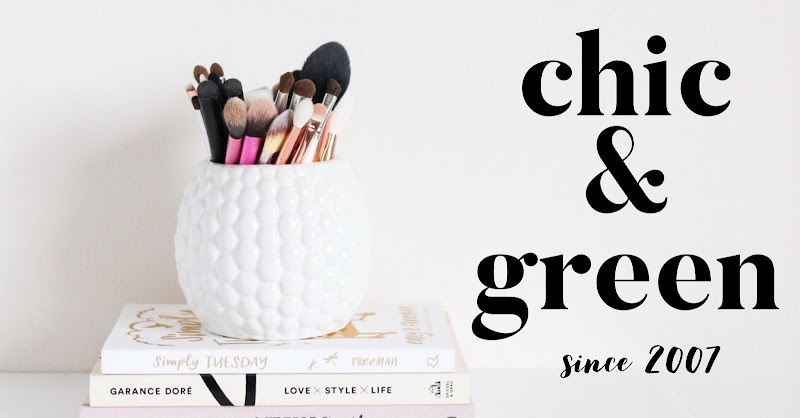 Today's edition of What's In It Wednesday is going to focus on two "natural lip butters" made by the popular brands Korres and Carol's Daughter. Both are available at Sephora. How natural are these butters? The results may surprise you. For reference, I am comparing Korres Natural Products Pomegranate Lip Butter, which is 0.21 oz. for $9 to Carol's Daughter Lip Butter, which is 0.4 oz. for $7. 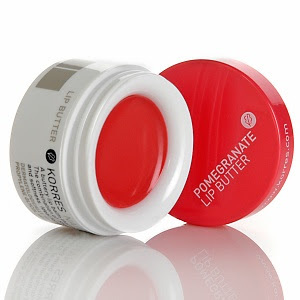 Let's first take a look at Korres Pomegranate Lip Butter. Ingredients: Polybutene, Trimethylolpropane Triisostearate, Hydrogenated Polydecene, Hydroxystearic Acid, Polyethylene, Stearalkonium Hectorite, Propylene Carbonate, Polyglyceryl-3 Diisostearate, Sucrose Tetrastearate Triacetate, Dicalcium Phosphate, Tocopherol, Aroma, Carthamus Tinctorius Oil, Ascorbyl Palmitate, Punica Granatum Extract, Benzyl Alcohol, CI 77891, CI 15850, CI 77491. So what are these ingredients and is this truly a natural product? TRIMETHYLOLPROPRANE TRIISOSTEARATE: Chemical again. This is a triester of trimethylolpropane and isostearic acid. No studies have been done to assess whether this is safe for skin or not. It can cause skin irritation. HYDROGENATED POLYDECENE: Another synthetic, lab-created polymer. 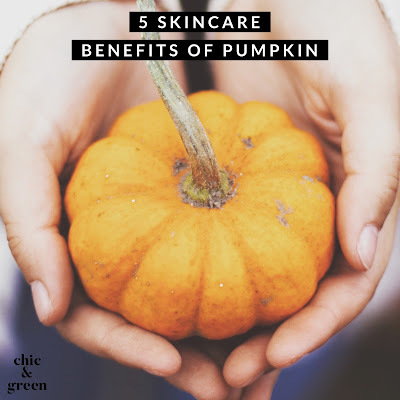 It can be emollient to the skin...While I'd say a natural products company may want to consider natural butters and oils in this future, this still will moisturize a bit. HYDROXYSTEARIC ACID: A fatty acid, as well as surfactant. This has been linked in numerous scientific studies to the formation of tumors. Vegetable based stearic acid which be a much better choice. POLYETHYLENE: Another plastic. You see this in plastic bags. It has been linked to cancer, brain and nervous system disorders and more. STEARALKONIUM HECTORITE: This is a fine white powder that lets the solids blend into the liquid ingredients. New concerns have been coming out, but this is considered relatively safe. PROPYLENE CARBONATE: A solvent which is irritating to the skin and eyes. POLYGLYCERYL-3 DIISOSTEARATE: Gives the skin a very smooth and silky appearance. Pretty safe for use. SUCROSE TETRASTEARATE TRIACETATE: Sounds bad, but it is actually an emulsifier made of sugars and fatty acids (usually from coconut oil). Not much safety testing has been done on this, but it is considered harmless. DICALCIUM PHOSPHATE: This is considered safe in food preparation, as it is an inorganic salt. Has not been tested for cosmetics safety, though. Should be OK.
TOCOPHEROL: A-OK! This is Vitamin E, a great antioxidant. AROMA: Given that it just says aroma, I am going to make the assumption that this is the way Korres describes synthetic fragrance, as they would surely put essential oils if they were natural. CARTHAMUS TINCTORIUS OIL: This is Safflower Oil, one of my favorites. It is a wonderful oil to help heal the skin, treat eczema and nourish sensitive skin. BENZYL ALCOHOL: Can act as an antimicrobial, also as an emollient agent. This form of alcohol, though, can trigger eczema flare ups and skin irritation. Since this isn't near the top of the ingredients listing, I wouldn't worry too much--although this product has enough ingredients near the top of the listing already to be concerned about. CI 77891: This is Titanium Dioxide. CI 15850: This is the INCI name for D & C RED ALUMINUM LAKE--the artificial colorant repeatedly linked to cancer and even ADD and other behavioral disorders. You know, Korres could still have this red color by using beet root or other natural colorants. By the way, this is a petro ingredient--it is derived from coal tar and actively tested on animals. I would not call this a natural product. In fact, you have to scroll over to ingredient #10 to get something I would seek out in a lip treatment. By then, the amount of beneficial ingredients in this product in negligible. Almost any Indie etailer will offer a higher quality lip balm for a fraction of the cost. I do not need to dissect this ingredients list, as it is incredibly short and very straight forward. Everything in it is more than acceptable as a natural lip butter. The beneficial ingredients start right at the beginning. Sweet Almond Oil is the number one ingredient, as opposed to Polybutene in the Korres. Nothing is synthetic. While Bitter Almond Essential Oil can be irritating in large, undiluted concentrations (like all essential oils), this is the last ingredient so you won't find it to be irritating. 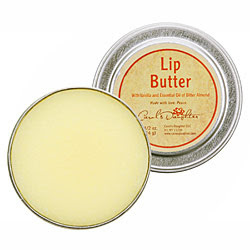 Carol's Daughter offers fabulous products, and this TRULY natural lip butter is no exception. So there you have it, two "natural" brands with their best selling "natural" lip butters. We've gone over the ingredients lists of both, from the sparse assortment of ingredients in the Carol's Daughter to the very long and not so natural list in the Korres. I do recommend the Carol's Daughter, but this lip balm is overpriced for the size. You may find better options on Etsy. If you're a do it yourselfer, this is actually an easy item to make once you get the hang of it. Pass on the Korres. Next week I plan to look at Bath and Body Works Antibacterial Hand Soaps.